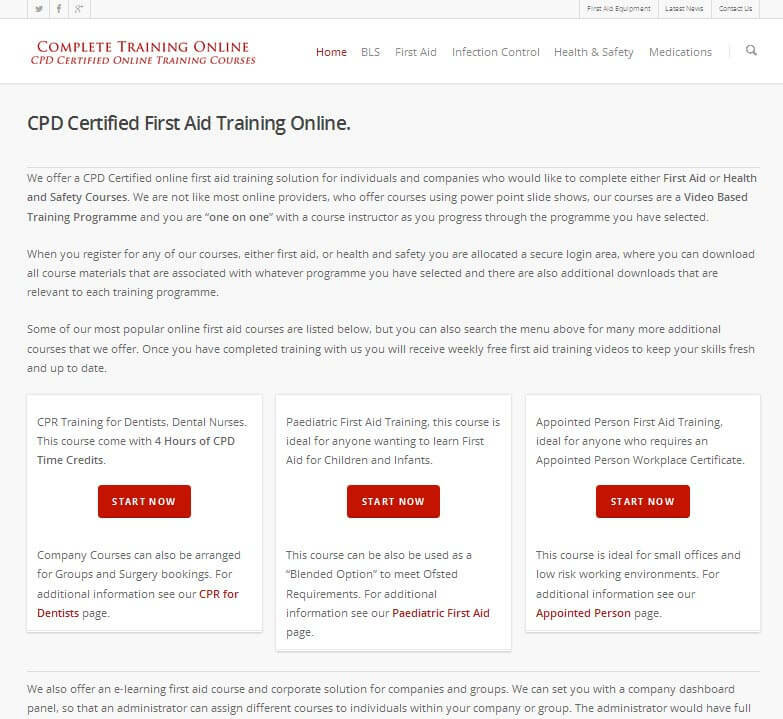 Complete Training Online offer CPD Certified online first aid training and health and safety courses, which are suitable for individuals, small and large businesses. Their courses are conducted using a video based training system and all certification can be printed on completion of each course. You can visit their website by following this link: CPD Certified Online Training.